Dung Beetles are insects that have been living together with deer in Nara Park since even before the Daibutsu was built. 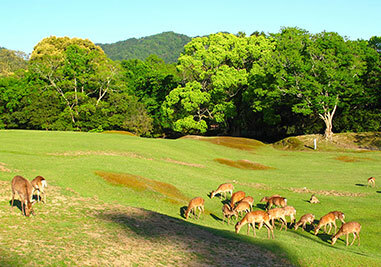 When Nara was declared capital in 710, there were already deer in Mount Kasuga and Mount Mikasa. Dung beetles must have lived there too. The Daibutsu was built at Todaiji Temple and soon after the capital was moved to Kyoto. During the Genpei War between the Taira and Minamoto clans, the Daibutsu was destroyed in a fire. In the early Meiji period, Nara was absorbed by Sakai Prefecture. In 1988 the Silk Road Expo was held at Nara Park and in the near future the Linear Chuo Shinkansen line will be running through the city. There is no doubt Nara has changed radically. 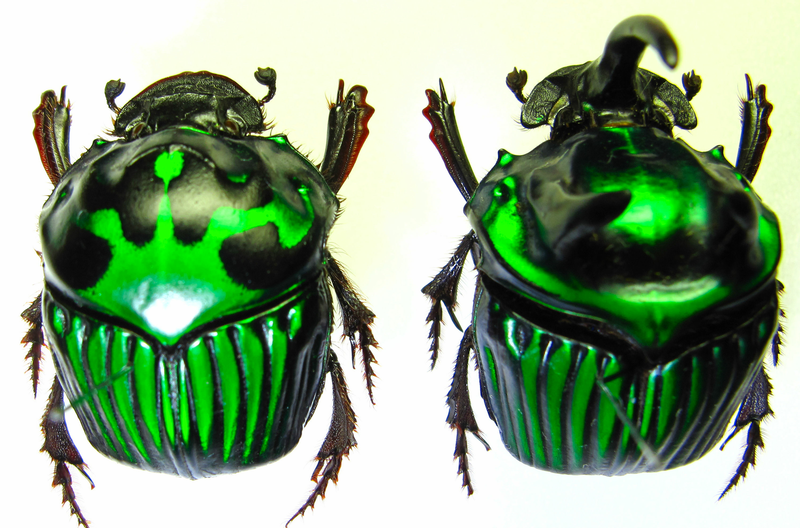 However, dung beetles have continuously inhabited Nara through its ups and downs for over 1300 years. 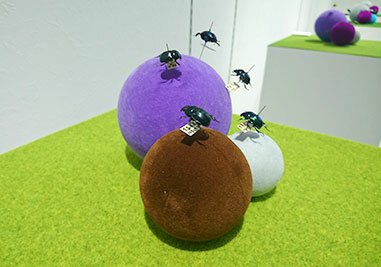 I wanted to introduce everyone to these insects called dung beetles, which have been living together with deer in Nara Park since even before the Daibutsu was built. For this reason, I created the Naramachi Dung Beetle Gallery so that people could appreciate how valuable the work they have been carrying out for centuries is. For me there could be no bigger pleasure than you thinking these small insects have as much charm as butterflies, rhinoceros beetles or stag beetles after observing the beautiful colors and curious shapes of the various dung beetles inhabiting our world. A bug lover since I was child, this is a dream I have had for around 30 years while working as a company employee. With the Naramachi Dung Beetle Museum that dream has come true. I am finally opening the museum thanks to the support of a lot of people. It would make me extremely happy if children could appreciate the dung beetles which have been behind the scenes of Nara's beautiful nature for over 1300 years. Together with Kinkasan (Migayi Prefecture) and Miyajima (Hiroshima Prefecture), Nara Park is one of the 3 Meccas for dung beetle lovers in Japan. Ancient Nara boasted extremely important shrines and temples such as Kasuga Taisha, Kofukuji Temple, and Todaiji Temple, located on very vast grounds. Despite historical upheavals, humans and nature have maintained a delicate balance in this area. Thanks to that, the environment we see today has not changed much. While Nara is a major urban center with a population of 360,000 people, next to the city Nara Park remains a tremendously valuable natural environment for which we can be proud in front of the world. Approximately 160 species of dung beetles are present in Japan, out of which over 60 have been confirmed in Nara Prefecture. Because of the many species that live in it, together with Kinkasan (Migayi Prefecture) and Miyajima (Hiroshima Prefecture), Nara Park is considered one of the 3 Meccas for dung beetle lovers in Japan. As everyone knows, this is a place where many animals (including deer) live, but compared with the 15 species of Kinkasan and the 14 species of Miyajima, the number of dung beetle species here is staggering. This is why Nara Park is Japan's Mecca for dung beetle lovers. 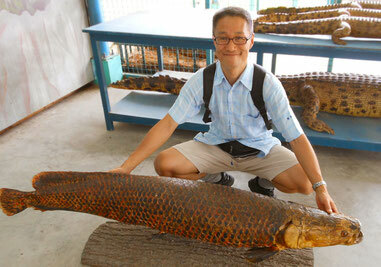 I have liked living things ever since I was a child and I set up an insect club in junior high school. The research I did at that time received the Japan Student Science Award (Yomiuri Shimbun) for Nara Prefecture. After working at a financial institution for 26 years, I took an early retirement and went back to my hometown Nara. I held the Dung Beetles of Nara and the World exhibition in the gallery at the front entrance of Nara City Hall. I opened the Naramachi Dung Beetle Gallery in Minamikido-cho, Nara City, fulfilling my longtime dream. Naramachi Dung Beetle Gallery is located in the southwest area of Naramachi neighborhood, which still has many old merchant's houses, right next to Naramachi Sound Museum and Naramachi Mechanical Toy Museum. One out of two visitors came into the Museum saying: “I didn’t know there was a place like this....” During business hours there is a sign facing the main street, but it is very discreet, so you might miss it. You are on the right track if you find Nanto Mizumoto’s altar equipment store. From there, follow the south wall to a 1.5m wide unpaved alley and walk about 15 meters. There you will see the entrance to the world of dung beetles. 9 minutes south of Konishi Sakura Street from Kinki Nippon Tetsudou Nara Station.